The present study focuses on the estimation of the air quality impact of an oil/gas pre-treatment plant, the Centro Olio Val d’Agri (COVA), in view of a more comprehensive epidemiological study regarding the inhabitants of two small towns settled in close proximity of the plant. We used the RMS (RAMS/MIRS/SPRAY) modeling system to estimate the ground level concentration of SO2, NOx, and CO as a result of the incineration of residues and electric and thermic power generation. Simulations were run for 1 meteorological year. The spatial interpolation of measured H2S, proxy of the other types of emission, allowed for a more detailed picture of the plant impact. 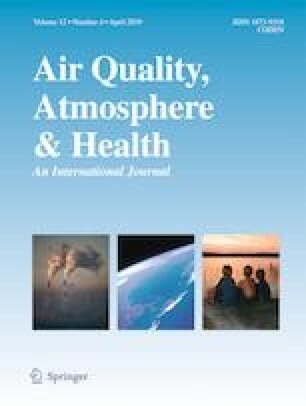 The spatial correlation between estimated NOx and SO2 and measured H2S strengthens the hypothesis of exploiting NOx maps as a proxy for the population exposure to the mixture of industry-emitted pollutants. Overall results suggest that the plant affects the inhabitants of the two towns differently. Furthermore, the simulations show that the area impacted by the plumes is much larger than that of the two municipalities within range of the plant, suggesting both the need to extend the monitoring area and to include the population living in that area in the health study. The online version of this article ( https://doi.org/10.1007/s11869-019-00675-y) contains supplementary material, which is available to authorized users. The work was partially funded by the Comune di Viggiano e Grumento Nova. Many thanks to the colleagues from CNR-IFC co-partner in the project for helpful discussion and fruitful collaboration. The authors thank the ENI and Arpa Basilicata for supplying environmental data.